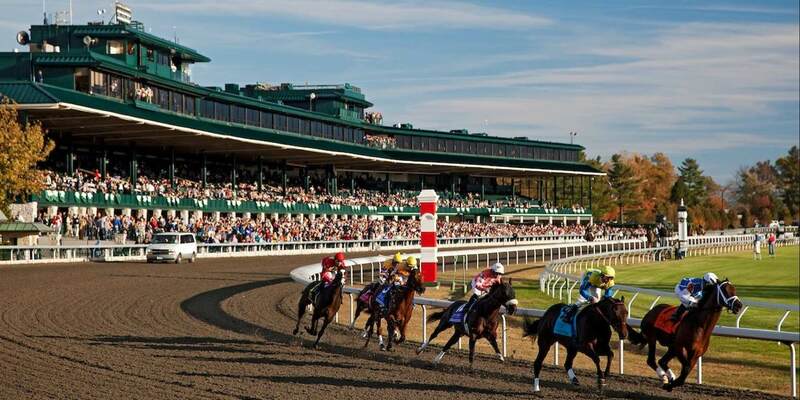 The Bluegrass Region's reputation for fine horses and fine bourbon whiskey is known world-wide. Magnificent horse farms and charming bourbon distilleries share a place in this extraordinary landscape of gently rolling hills. Here is a suggestion for discovering the heritage of America's only native spirit. Arrive in Lexington in time for dinner. Start your bourbon tour at one of Lexington's downtown restaurants for some great regional cuisine. Be sure to stop off at Belle's Cocktail House at 156 Market Street, named after one of Lexington's most notorious citizens. Take a stroll through nearby Gratz Park or Triangle Park, then head for your hotel. Blue Heron Steakhouse on Jefferson Street,Tony's on Main Street, Dudley's on Short Street. Buffalo Trace, like all bourbon distilleries, carefully guards its unique mash bill--its own secret combination of corn, rye and malted barley. In addition to its flagship bourbon, Buffalo Trace Kentucky Straight Bourbon Whiskey, the distillery produces other finely crafted bourbons including Blanton's, W.L. Weller, Old Charter and Eagle Rare. A variety of bourbon tours cover the history of the distillery (there has been a working distillery on the grounds since 1787) and differences between whiskey and bourbon. You'll get to visit the hand bottling hall and a century old aging warehouse. Take the scenic route back to Lexington. From US 60, take 1681, just after crossing under I 64. This is Old Frankfort Pike, one of Kentucky's best scenic byways. You'll pass farms and fences made of dry laid limestone, the same limestone that underlies the pastures of the Bluegrass Region, helping to build the strong bones of championship horses. Just before you hit downtown, you'll go right past the Lexington's historic Distillery District. Call ahead and pop in at Barrel House Distilling to sample their Bourbon. (859) 259-0159. Dinner Suggestions: Portofino for great Italian cuisine and a fine selection of bourbons at the bar, Ramsey's for comfort food, including a great Hot Brown or Malone's for fine steaks. For evening entertainment, take a carriage ride through downtown Lexington. Head out US 60 again. 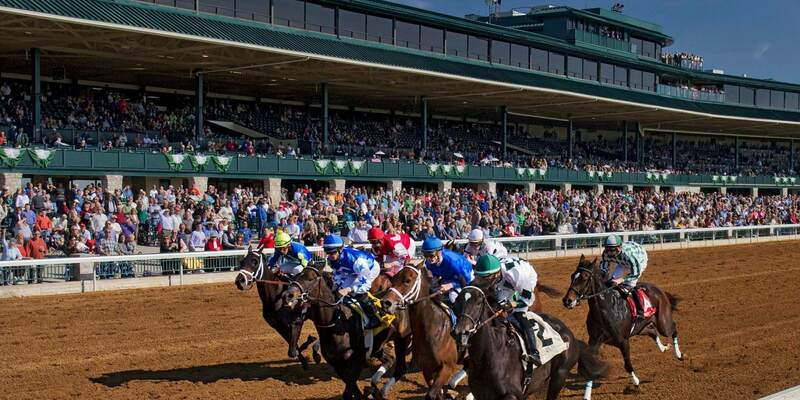 If you couldn't manage to rise early enough yesterday, here's a second chance to stop at Keeneland on your way to Lawrenceburg. Note the unusual castle just before you enter the Bluegrass Parkway. 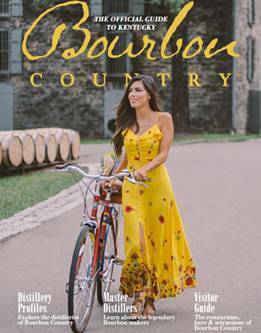 The small Bluegrass Region town of Lawrenceburg claims two distilleries. Four Roses is not your typical Kentucky bourbon distillery. Situated on the banks of the Salt River, its Spanish Mission-style architecture of the early 1900s is unusual for Kentucky. For a time in the 30s, 40s and 50s, their bourbon was only produced for export in the European and Asian markets. It's now sold in 21 U.S. states as well as Spain, France, Italy, the Czech Republic, the Netherlands, Austria, Switzerland and Japan. Learn about the process that produces this mellow bourbon with its rich, fruity flavors on one of their distillery tours. Try to make it back to Lexington in time to tour the first Bourbon distillery to be built in Lexington in over 100 years: Town Branch Distillery. Or, call ahead and try to catch one of the distillers at Bluegrass Distillers and hear the story of the region's newest small batch craft distillery. (502) 551-3670. They are located downtown near Smithtown Seafood.